Citizens have an important role to play in ensuring that the government is responsive to their needs. The Accountability section of the Nabz-Iran site provides users with resources to help inform and guide them in monitoring and advocating on accountability issues. If you are someone who cares about your community and would like to know more about the role citizens can play in holding the government accountable to make things better, then this presentation is for you. The Service Delivery Monitoring: How to Hold Government Accountable presentation will help you learn what you can do to monitor how well the government services respond to citizen needs. How budget has been divided between armed, law enforcement and intelligence bodies of the Iranian government at the new 2018 budget bill? Below, interactive infographics provides the answer. The budget amounts of in million Rials. There are rivaling armed, law enforcement and intelligence bodies in the Iranian government, with parallel organizations. None of these powerful and important government bodies are responsible to the elected part of the regime, meaning that they are neither responsible to the administration nor to the parliament. Still, they consume big bunches of the national budget. While for example, based on the constitution the Iranian army is responsible for defending the boarders of the country, it's budget seems to be almost one third of the IRGC and even less than the budget of police. 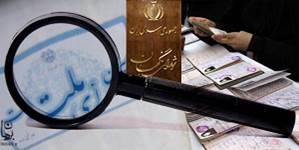 Table Number 6 of Iran's 2018 budget bill defines the proportions given to each of the main sectors in country, including: public services, defence and security, judiciary, economy, environment, housing/urban and rural development, health, culture/sports and tourism, education, and welfare. The chart below shows the proportion of budget dedicated to each of these sectors. Take an online course on accountability.